A mild, non-drying daily toner. Firms and tones normal, dry and sensitive skin conditions. Anthyllis and witch hazel combine to firm the elasticity of the pores, balance the moisture content and leave skin feeling fresh and revitalized. 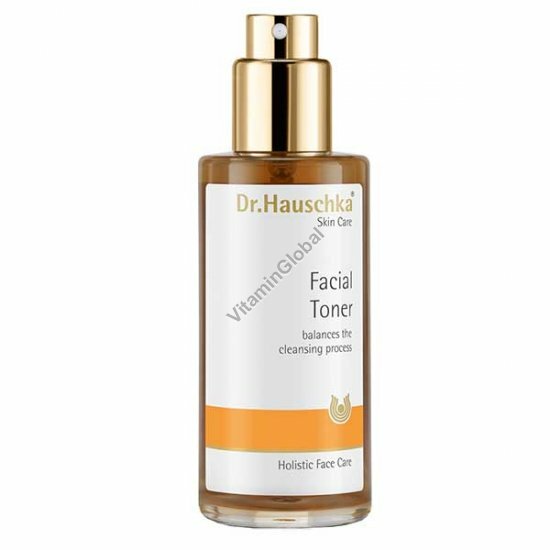 Directions: Mist face and neck and gently press Facial Toner onto the skin, following the use of Dr.Hauschka Cleansing Cream or Cleansing Milk. Apply mornings and evenings.